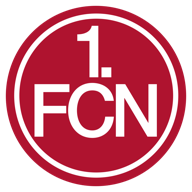 Schalke condemned Nurnberg to relegation to the 2. Bundesliga with a 4-1 win over the Bavarians. Schalke condemned Nurnberg to relegation to the 2. Bundesliga with a 4-1 win over the Bavarians at the Arena AufSchalke. Joel Matip headed the Royal Blues in front early on before Roman Neustadter put Jens Keller's men firmly in the driving seat on the stroke of half-time. Julian Draxler added a third before Josip Drmic, on his last appearance for Nurnberg, grabbed a consolation in the last minute. 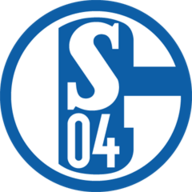 There was still time for substitute Chinedu Obasi to add a fourth and seal Schalke's place in the Champions League group stage next season while Nurnberg faced up to a record eighth relegation from the top flight. Nurnberg came into the game without several key players due to injury and suspension and, after suffering for most of the season with their best players, it was always going to be tough without them. To make matters worse, they fell behind after only six minutes when Matip met Max Meyer's corner at the near post to head Schalke in front. A Tim Hoogland cross was headed straight at Patrick Rakovsky by Adam Szalai as Schalke searched for a second, but Nurnberg almost fluked an equaliser when Martin Angha's cross hit the inside of the far post. It was only a rare threat to Ralf Fahrmann's goal, though, with Neustadter doubling their lead on the stroke of half-time with a well-placed shot with the outside of his boot. Meyer hit the woodwork at the other end before Draxler scored from just inside the penalty area to seal Schalke's win. There was still time for two more goals with Drmic first converting into an open goal after Angha's cross was touched out to him by Fahrmann. Within a minute, Obasi added the fourth and, with that, the final whistle sounded and Nurnberg's fate was sealed.